Comfort and adjustability never looked so good! Customize your fit and never look back as you enjoy smooth, full grain leather for exceptional comfort. 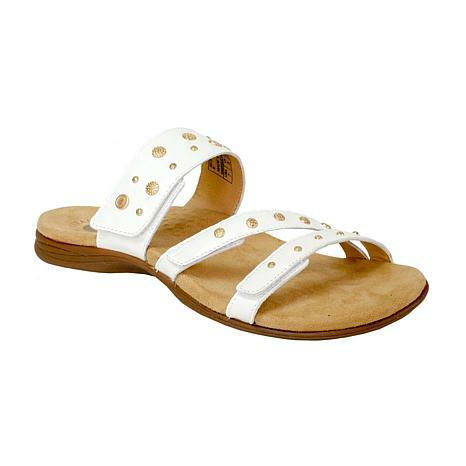 These beauties also feature contoured footbed technology designed to support your foot as it promotes proper alignment, all with an artfully designed studded pattern.